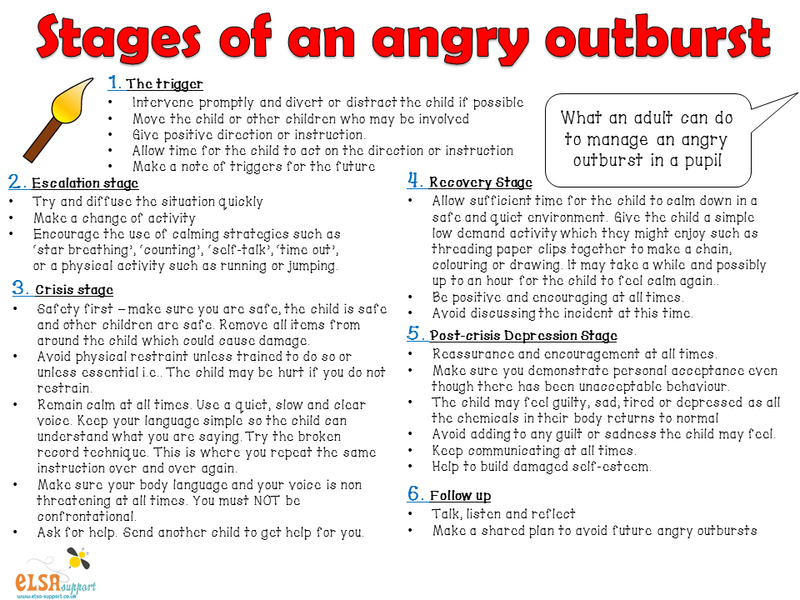 How to deal with an angry outburst. I have been working on an ‘anger lapbook’ and thought I would do a poster to include in the pack. I then thought I would give this to everyone for free because it is so important to know about the stages of anger and how to deal with it. Pop this in your file, on your wall or in your staffroom as a reminder.